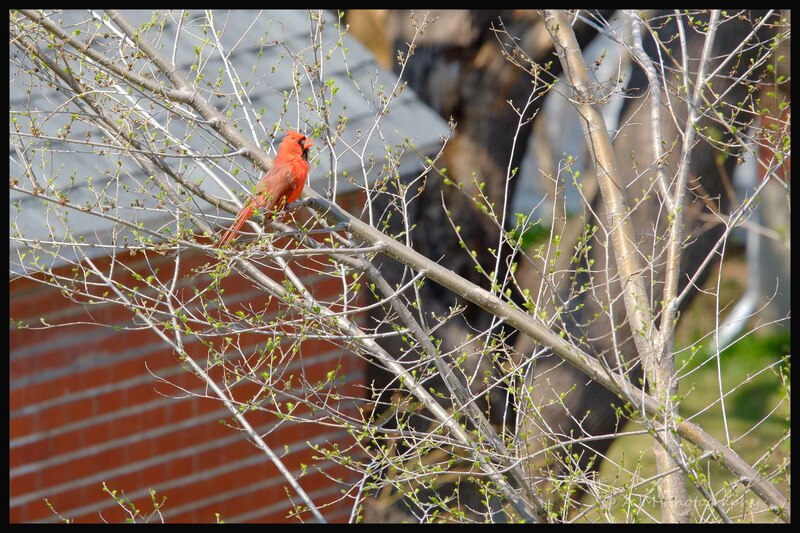 Photos taken in my backyard and around my neighborhood. I have been taking many test shots with the D2X in order to get used to it and to fine tune the settings as well. Tonight, i took on the moon. 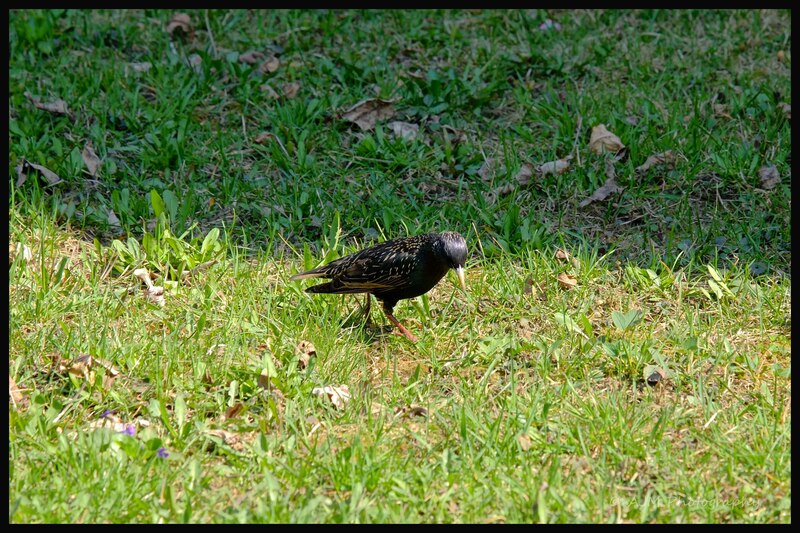 Photo taken with the Nikon D2x and Nikkor 70-300 VR G. SHot at f/8, 1/320, spot metering, ISO 400, 300mm and -0.7 step. When i can, i take the time to sit on my balcony and enjoy the peace and quiet (well, quieter then some places) of a Sunday afternoon. It’s nice to look up into the sky and see all the different cloud formations and see if there are any aircraft flying by, only to wish being on one of them. Looking around the trees and flowers in my backyard, there is also plenty of activity to be spotted. Bees, butterflies, birds, squirrels, etc. 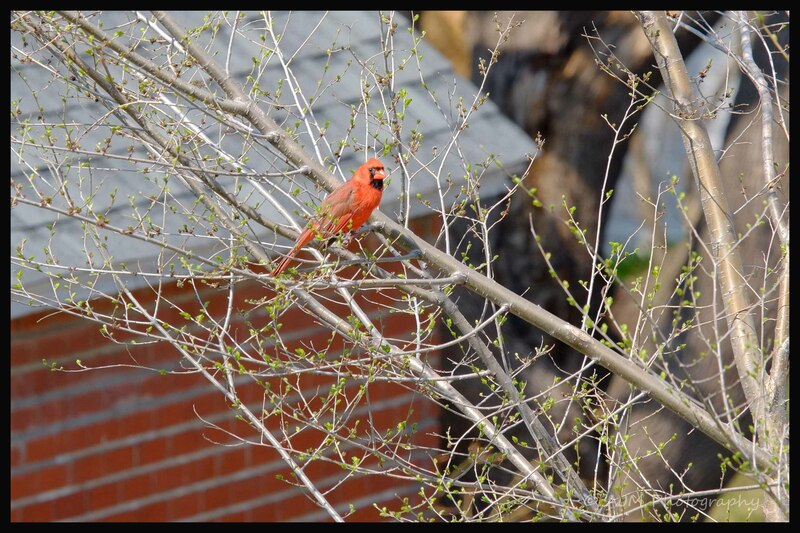 Watching nature at work is pleasant on a relaxing Sunday afternoon. This squirrel was amusing to watch. He started to eat this apple while he was hanging onto the side of the telegraph pole. At one point, he dropped the apple. So, he had to go all the way back down to the ground and retrieve it. Once he got to the ground, he was very thorough in getting back the apple that he had dropped. He inspected 2-3 apples before he came across the one that he had been munching on minutes before. 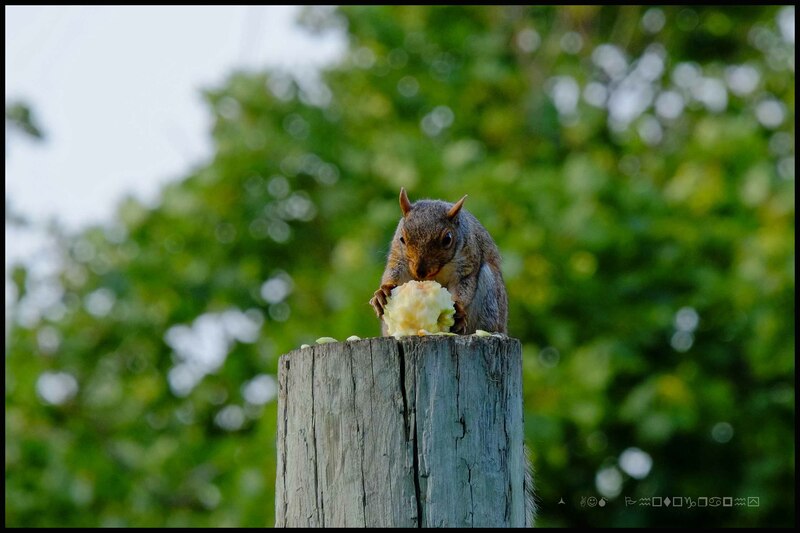 Once he retrieved his apple, he made his way to the top of the telegraph pole and finished eating. 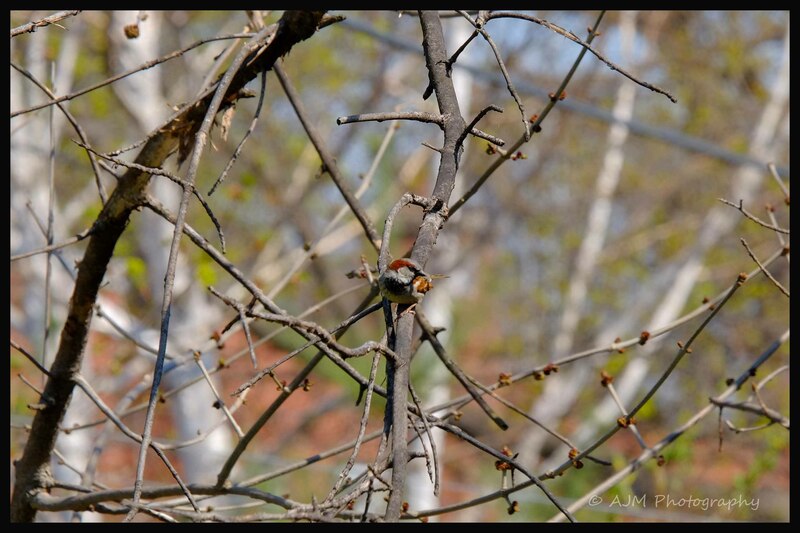 For the first time, i was able to take a photo of a hummingbird. 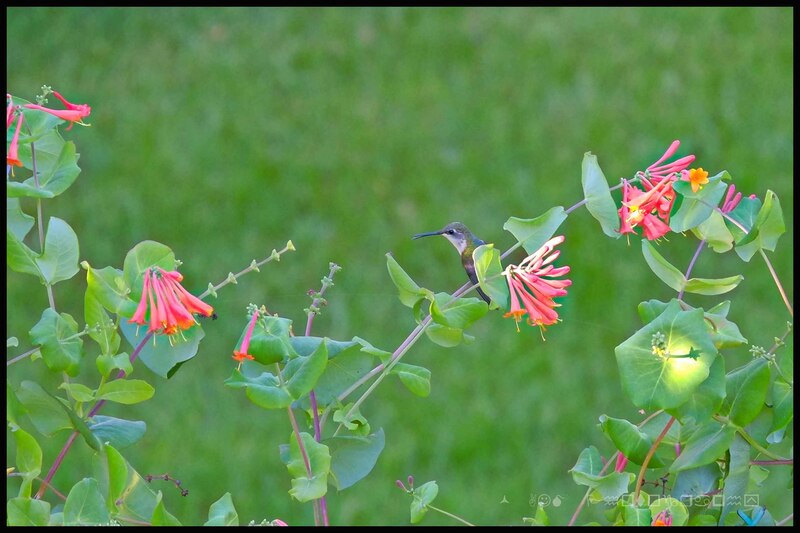 It was flying around among these “trumpet” flowers, going to each one and putting his beak inside. Being on the balcony, i must have been about 25-30 feet away with my camera. 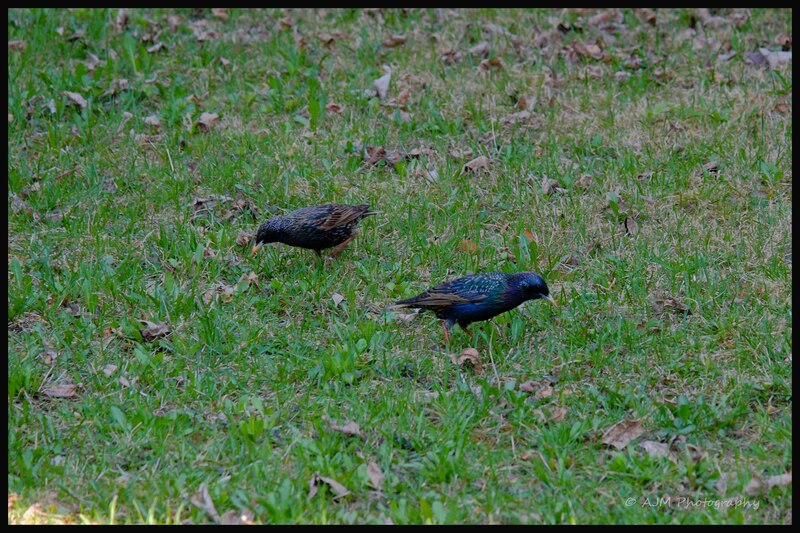 Thanks to the 50-230mm, i was able to get some decent shots, but i did have to crop them a bit. I will certainly be looking out for hummingbirds from here on out.